In 1992, Jerry laughed McKay Landscape Lighting. Since then, the company has grown into a regional market leader and one of the area’s most dedicated outdoor lighting firms. With a passion for outdoor lighting and entrepreneurship, Jerry has been able to combine his passions into a very successful landscape lighting business. In keeping with the entrepreneurial spirit, Jerry started The Lighting Summit so he could share what he has learned in the lighting industry for over two decades. If you are looking to set yourself apart from the competition and grow your outdoor lighting business The Lighting Summit is a great place to start. The Lighting Summit is for dedicated landscape lighting professionals looking to take their business “to the next level”. Landscape lighting is a niche business, there are not many opportunities for professional development other than product and installation training. The Lighting Summit focuses on the business of landscape lighting by discussing topics for sales, marketing, improving operation efficiency and setting goals. The goal of the Summit is to share what has worked and not worked for us over the past 20 years. It is also a great place to meet other dedicated landscape lighting professionals, share concerns and ideas in a non-competitive atmosphere. Our hope is that you can shave a few years off the learning curve. At the Summit, you can expect a content-focused agenda geared towards helping your business be more efficient, making it more likely to grow and succeed. The Summit is not sponsored by any manufacturers and does not focus on product. The Summit is a smaller group setting with an atmosphere geared for learning and collaborating. Attendees enjoy a personal tour of inspiring lighting designs. In addition, attendees build lifelong professional relationships in a non-competitive environment. 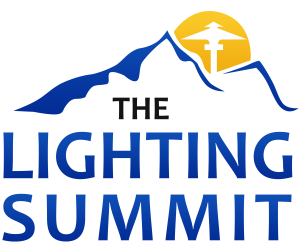 To learn more about The Lighting Summit please visit their website. It is a great program that will help your business take off and be one of the market leaders.